Whether in the Summer or Winter months, we all need hydration. Living in a tropical island, hydration is especially important when exposed to the sun on a regular basis. I am a huge fan of hydration ( although I must confess, drinking more water is NOT at the top of my list, but should be) I have tried a number of products in order to achieve that top notch hydration and these are a few of my favorites year round! Weleda Skin Food: I love how this deeply moisturising all-in-one cream makes my skin feel. Not only is it perfect for the body, it works wonders when applied to the face. I usually use it before a flight, as my skin can get pretty dry and it moisturizes throughout. It is quite heavy in texture but it sinks into the skin quickly. A Little goes a long way. Rosehip Oil : I have previously talked about how much I love Rosehip Oil. Now, my skin is combo to oily normally, and this oil does not make me break out . I love how it smells and how light it feels on my skin. It is perfect for daily use, either day or night . My preferred brand is : A’kin Rose Hip Oil. THIRSTYMUD™ HYDRATING TREATMENT GlamGlow: I am IN LOVE with this deep hydrating mask. It smells amazing, it leaves your skin feeling perfect, and it can be used in so many ways! My personal favourites are either pre-flight or overnight. I will definitely be indulging in the full-sized version. Dream Cream (Lush): I have also raved about this cream and will definitely be taking it with me for my next tropical vacation. It feels amazing on the skin and it provides daylong hydration. King of Skin (Lush): I received this little gem as a birthday gift last year and became obsessed with it. It is a “butter bar” and it acts as a moisturizer for the skin during shower time. Use it after washing and lightly rinse it off. Pat dry (gently so the skin absorbs the oil) and it will keep you smooth with no need of lotion! Buffy (Lush): This exfoliating shower bar is also perfect for hydration. Taking away dead skin cells and leaving the skin moisturised afterwards is perfection in my book! It is not harsh exfoliation (perfect for sensitive skin) and the cocoa and shea butters in Buffy will leave the skin hydrated! No need for lotion after either! What are your favorite products for hydration? LUSH IS COMING TO PUERTO RICO. Yes, all in caps because that is how big my excitement is. Coming to the Mall of San Juan, our newest high-end mall that is set to open in March 2015, Lush has finally arrived to make our skincare problems go away. I have been a Lush fan ever since I first moved to Florida in 2009 and have visited their stores in the USA, Canada and in Lush’s motherland, England. Yes, Lush comes to us directly from Poole, England and not only makes its products using fresh and natural ingredients, but also helps and supports diverse charities along the way. I am super excited to share with all of you, my top favorite products and I can’t wait to stock up on them as soon as the store opens. Not only is Lush famous for their amazing products, but also their customer service is consistently one of the best out there and that is truly something I am looking forward to experiencing here in Puerto Rico. Lush, Welcome to Puerto Rico and thank you for bringing me a piece of England as I miss it terribly. FINALLY!! The Sacred Truth: This is my favorite fresh face mask. It contains fresh papaya that brightens your skin and feels amazing when applied fresh out of the fridge. The fresh face masks must be kept in the refrigerator and this is perfect for our hot climate. Nothing beats having a cool mask on your skin on a hot night. I heard it was discontinued because of reformulation so I am hoping to have my hands on another tub very soon! I must find a new favorite fresh face mask in the meantime! Herbalism: This was the first product I ever tried from Lush and it was an eye opener in terms of how well my skin adapted to this cleanser. As you can tell, I am all for brightening products and this one achieves that. It is gentle on the skin but powerful enough to leave everything clean. My skin loved this product, and so did I. Dream Cream Hand and Body Lotion: When I lived in England, I spent close to 9 months without tanning, ( for an island girl like myself that is LONG!). I went on a trip to Thailand where I spent ALL of my time getting as much sun as humanly possible and upon returning my body was super dry and peeling. Lush’s Dream Cream was the only moisturiser that actually worked and it calmed my skin. I highly recommend this for dry skin types. Buffy: This body butter/exfoliator was also one of my first Lush purchases ever and I have loved it since Day 1! It is incredibly moisturising when used in the shower and provides gentle exfoliation and afterwards you do not need worry about moisturising! I love Juicy: This is my favorite clarifying shampoo. Whenever I feel that my hair needs to get rid of product build up or simply when I want it to look and feel really clean I reach for this shampoo! This will probably be the first product I purchase again at the new store as I have not found a clarifying shampoo like this one. Rub Rub Rub: This body exfoliator will leave your skin feeling soft and refreshed. Its sea salt components acts as an astringent as well, although it is not recommended for facial use. Use it once or twice a week and your skin will thank you. Turkish Delight: This AMAZING shower “smoothie” will leave you smelling of roses the entire day! Its creamy consistency makes it easy to apply in the shower and hydrated afterwards. THIS IS MY FAVORITE LUSH ITEM EVER! AND EVER! AND FOREVER. I am obsessed with the smell and I hope that Lush brings out a cream with this scent because it will be the best thing ever. Our first One Brand Favorites in Beauty is for my long time love: Maybelline. I have loved Maybelline ever since I started wearing makeup in high school (don’t tell my mom!). I have found that they have a great selection of affordable products that have a really good long lasting power. Today, looking through my makeup collection, I have found that I have a really big selection of Maybelline products that I love and keep going back to. Here are my absolute favorites from Maybelline! Foundation: Maybelline Dream Matte Mousse: I am in love with this foundation. Although my skin is normal to combination (depends on the season and the weather) I like to keep things pretty matte for a daytime look. This foundation is so amazing. It has a powdery finish without looking cakey and it lasts all day. No need to set it with powder and can be used without primer! Concealer: Fit Me! Concealer: This is probably one of my favorite daily wear concealers! I love how it not only conceals, but also highlights the under eye area. It has medium consistency so it blends perfectly with any foundation I have tried this with. I will definitely continue to use! 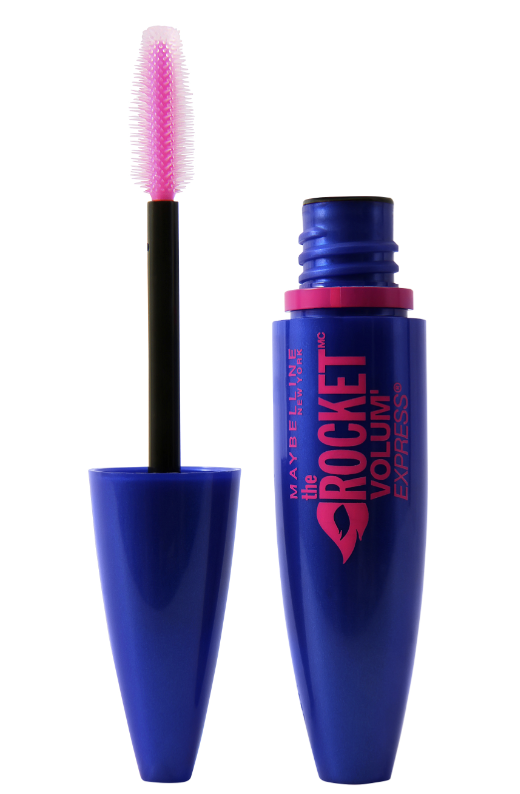 Mascara: The Rocket Volum’ Express Very Black: This is my ALL TIME FAVORITE MASCARA! 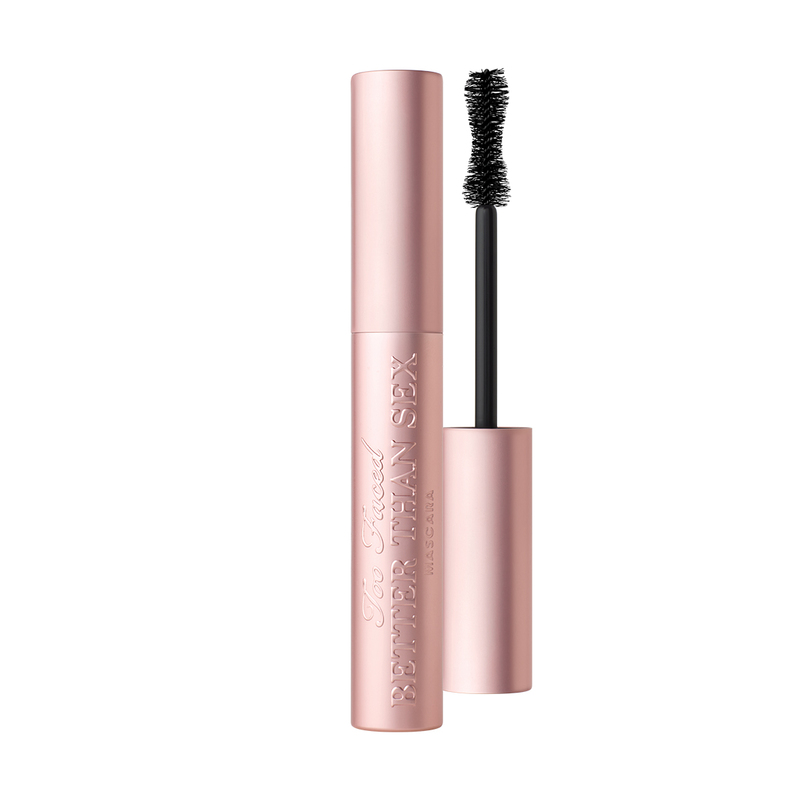 I just love how it gives volume AND length to my lashes without making them look clumpy. 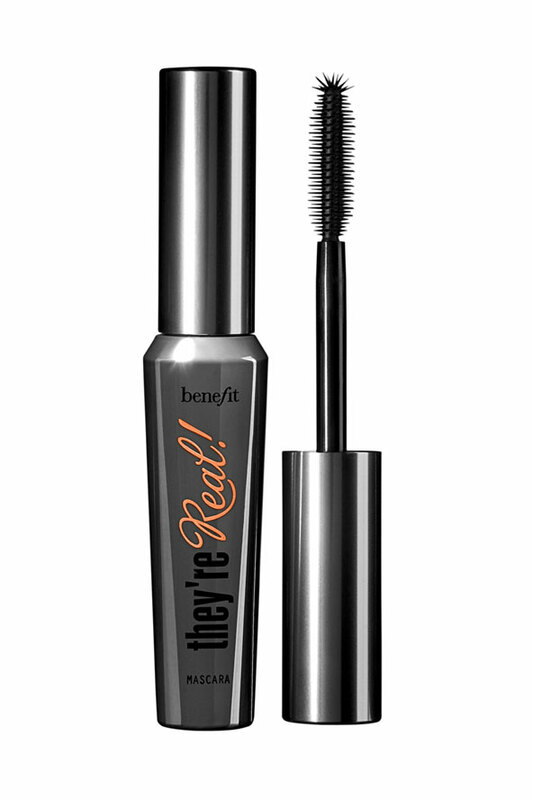 I will love this mascara forever…even its waterproof version is good. : Now, from the Color Tattoo I have 11 colors… 11…everything from nudes to matte to shimmery to color shadows. These are the absolute best cream eye shadows. They are good when worn on their own or when used as eye shadow base. I just love them all! Some of the colors may get a little dry with time, but you can continue to use! My favorites are Bad to the Bronze, Barely Branded and Eternal Pink! Lipstick: Baby Lips Pink Punch: I have several Maybelline Lipsticks but the one I love on a daily basis is the BabyLips Pink Punch. It goes on great and suits any makeup look. It is very moisturising as well so your lips are always hydrated. Love, love, loooove!